If you've been on Instagram this weekend, you'll have noticed a bunch of "Tun on Notifications" messages. Even though some users explained what it's all about, it may not be clear to all of you. 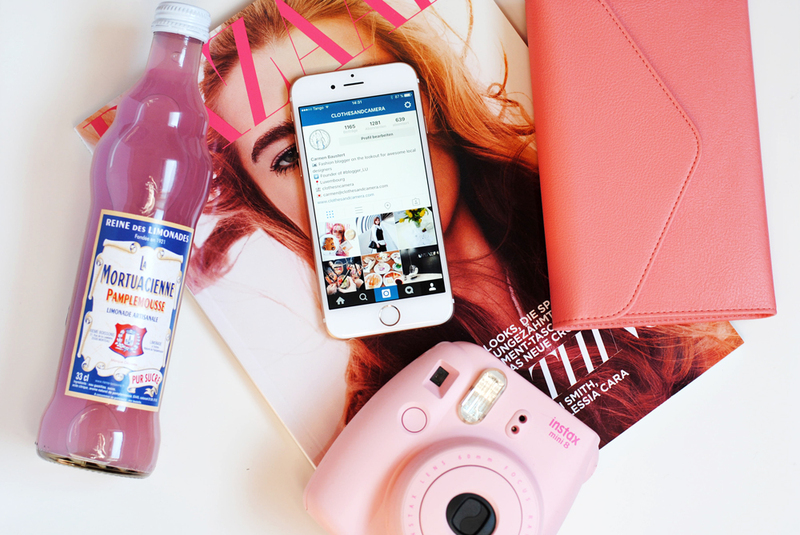 The source of the fuss is a post on Instagram's blog, stating that Instagram will change the order in which you see photos in your feed. It claims that we miss an average of 70% of the photos in our feed, which is why Instagram wants to increase the chances that you actually see the photos of your favourite users. At the moment you see all photos in your feed in a chronological order, from the most recent to the oldest. This means that you might be missing out on your favourite account's photos, if they've been posted at a time when you didn't check Instagram, and when you are not willing to scroll through your whole feed. For the next few months this means that only the order of displayed pictures will change, but all pictures will still remain visible in your feed. Instagram said that they will listen to user's feedback to see how it all develops, but given the changes made to Facebook and Twitter over the past months, it is pretty likely that the changes will stay, and maybe even be extended in a way that at some point we will not be able to see all pictures of accounts we follow anymore. Instagram published the news less than two weeks ago, stating that we will see the changes "in the coming months" and I could not find a source saying that the changes will be applied from tomorrow on, like some Instagram users are claiming today. You can turn on notifications for a user's Instagram account, in order not to miss any of their photos, just like you can do on Facebook by clicking on the "see first" button. People are claiming that besides the fact that you'll get push notifications when your favourite account publishes a picture, those pictures will also not disappear from your feed. However basically that is not what the button does, because as it says it's just meant to send you notifications. Alone during the last 2 days I've had at least 30 of the users I follow beg me to turn on the notifications for their photos. However I am not fond of getting 30-90 messages a day, just because someone uploaded a picture on Instagram. I see it more as a "this is a person I'm stalking"-function, than as a "I really like this person's pictures"-function. I even believe that those many notifications (that can't be disabled all at once but only one by one) will rather start annoying people and maybe make them realize that they don't like your pictures that much after all. The first thing we should probably all do is keep calm, as our pictures will not disappear from any feed for the next few months. However as posting at the right time might become irrelevant, it gets more and more important to work with other strategies, such as hashtags. Many people still use irrelevant or way too popular hashtags. What you'll wanna reach with them however, is to appear in the trending section of a hashtag (the nine first pictures shown when you search for a #). This is the best way to make sure people with similar interests find your pictures. However this is not likely to happen when you use a hashtag that has hundreds of uploads per minute as your picture will go down immediately. Instead a hashtag frequency of 1000-300.000 is ideal to ensure that your picture gets a chance to be featured. All in all the Instagram community has always been rewarding beautiful, sharp and well exposed pictures, so posting good quality content will continue to be key. I would love to hear if you have any other strategies to keep your followers engaged, which will now become more important than ever on Instagram. Do you like the changes or are you totally against them? And most importantly: Do you think you will still enjoy Instagram after all the upcoming changes, including advertisement?